The secret of Natural Body Building! Natural Bodybuilding, like the name suggests, is a form in which bodybuilders do not employ any external substances like Anabolic Steroids, Pro hormones and Diuretics to enhance their muscle mass, a practice very common among professionals. In their terminology, such substances are considered illegal and the use of any of these can cost them heavy penalty or ban from participating in the future contests. However, Natural Bodybuilding is a sport still adopted by many out of sheer passion to see their muscle hypertrophy boost without any aid of un-natural means. 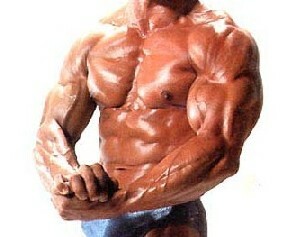 Testing bodies for the presence of any ‘illegal’ substances forms an imperative part Natural BodyBuilding contests. Such tests are mostly carried out at a national level by the National drug or Anti-doping body of the jurisdiction. These national organizations have sanctioning from the World Anti-Doping Agencies which primarily includes the Australian Sports Anti-Doping Authority (ASADA) and New Zealand Sports Drug Agency. Where in the world of bodybuilding, competitions and rankings rendered by the IFBB are considered most prestigious and the highest, the fact of the matter is these contests are still not natural. Hence professionals who intend to make their mark as Natural Bodybuilders, have organizations like the International Fitness and Physique Association (IFPA), National Gym Association (NGA), International Natural Body building Association (INBA) and World Natural Bodybuilding Federation (WNBF), organizing events and contests that strictly adhere to regulations promoting natural body building. Natural BodyBuilding has a great advantage and that is it does not encourage the use of any muscle enhancing drugs which invariably prove to be hazardous in the longer run. Hence building oneself aesthetically, the natural way calls for a greater amount of dedication, hard work and passion because you know you are not supporting your body with any external ‘unnatural’ supplements. It helps you be more determined towards your goal and lends you fitness that will perpetually stay with you forever, and keep you healthy and bright in future times to come!